Today is ‘best plant’ day. 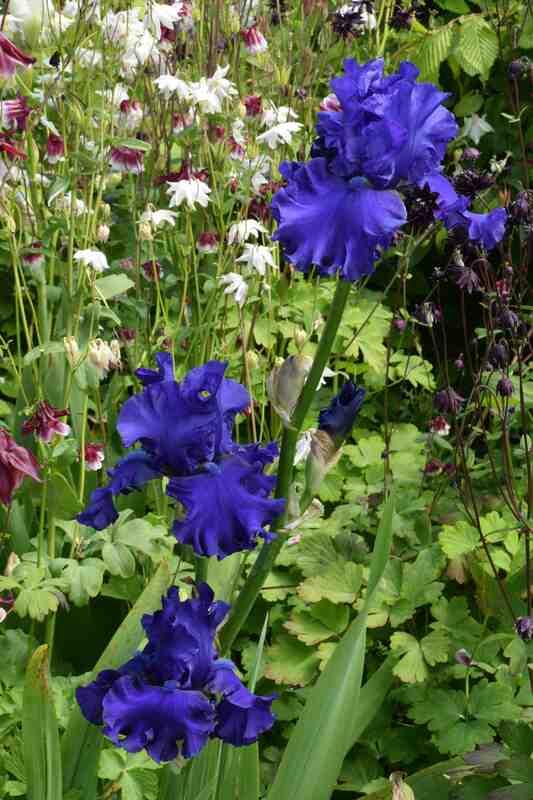 After the wonderful ‘Bartzella’ here is an iris that has really caught my attention in the past few days. 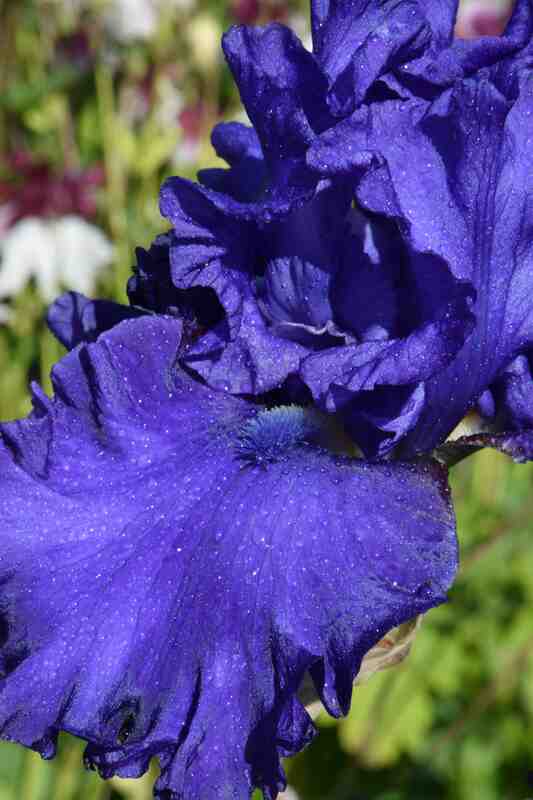 ‘Java Bleu’ is a Cayeux iris registered in 2009. I must admit that, having a great respect for Shreiner iris and particularly their great blues, I am surprised that my heart has been enraptured by a child of Cayeux. But what a wonderful thing this is. It has tall (1m) strong stems that have withstood the awful winds and perfectly formed flowers with waved standards that, again, have managed to keep their shape despite the wind. 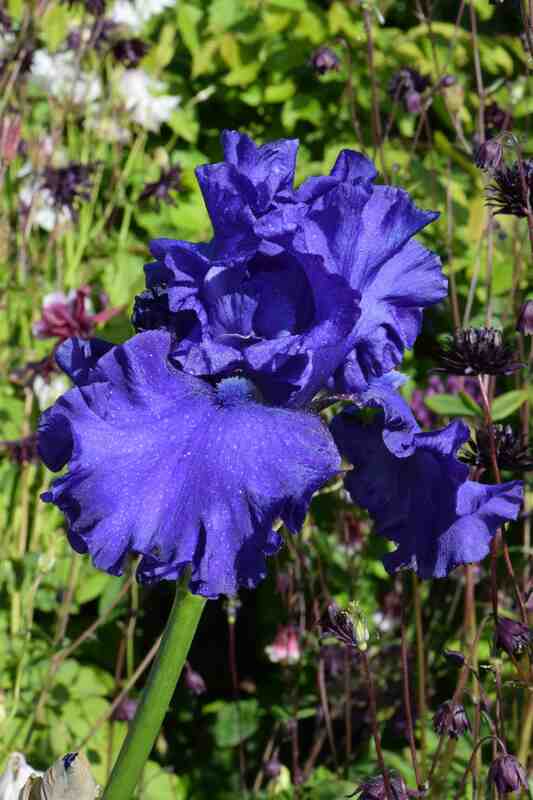 But, apart from that pleasingly ruffled shape that is full but does not mask the classic iris flower shape, it is that colour! Rich, inky blue. No fading, flushing, stipples, contrasts or other nonsense. Even the beard is the same colour. It is just beautiful, saturated, intense blue to get lost in. WOW.